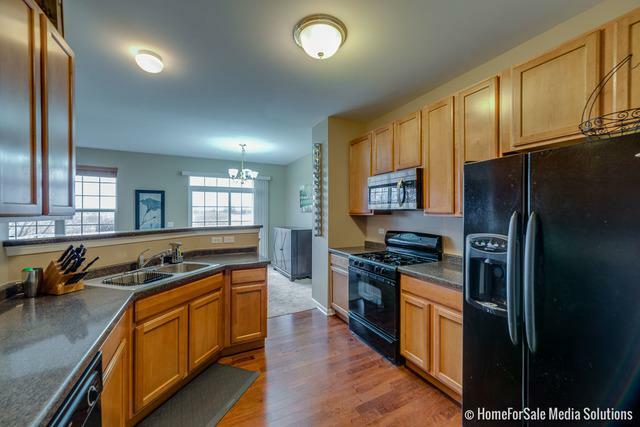 You'll love this bright and spacious townhome in high-demand Creekside. End unit with one of the largest available backyards and unobstructed prairie views. Open floor plan and indoor/outdoor living make a wonderful opportunity to entertain. Large light-filled living room with cozy fireplace. 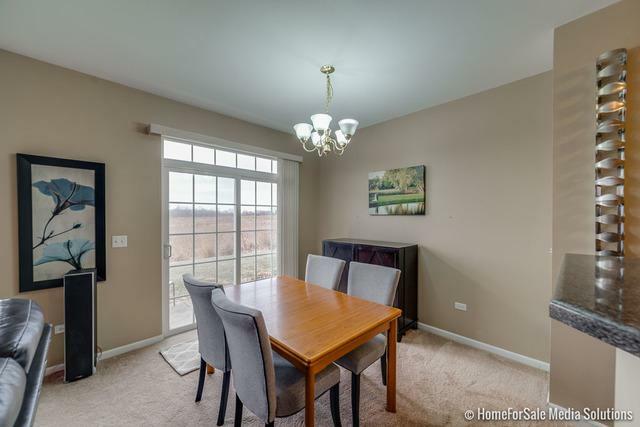 Spacious dining area w/ access to back patio. Kitchen features 42" cabinetry. First floor powder room. 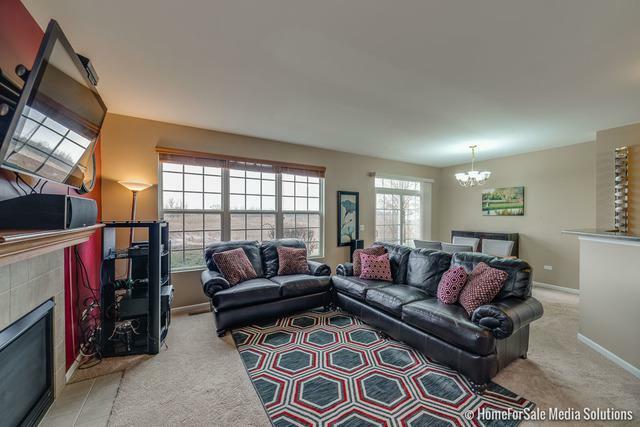 Awesome master bedroom w/vaulted ceilings, lots of windows, WIC and bath w/soaker tub, separate shower and double vanity. 2nd full bath upstairs. Enormous loft is very versatile and can easily be a 3rd bedroom, family room, or home office. 2nd floor laundry. Oversize 2 car attached garage provides tons of additional storage space. Walk to new park! 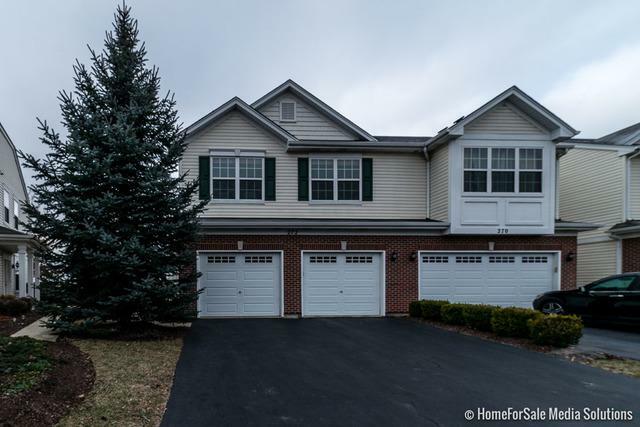 The location can't be beat as the home is located in a top neighborhood close to shopping, restaurants, schools, Romeoville METRA and highway access! This one won't last! Sold by Carter Realty Group.